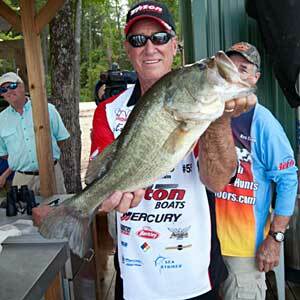 Bassmaster Guy Eaker with one of the big largemouth bass that helped Ken Cook and him win the All-Star Week Legends tournament. Photo Credit: B.A.S.S. 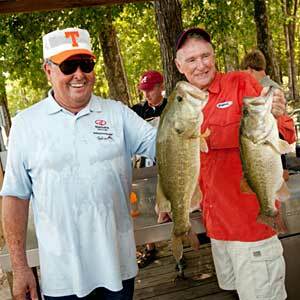 Bill Dance and Jerry McKinnis show off a couple of their big bass caught during the All-Star Week Legends tournament. Photo Credit: B.A.S.S. 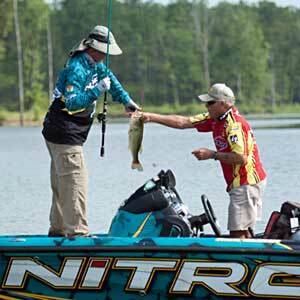 Bassmaster Rick Clunn fished with Tommy Martin during the All-Star Week Legends tournament. Photo Credit: B.A.S.S.